Soon, it will be Valentine's Day. What better way to say "I love you" than by scaring the crap out of your darling? Do-it-yourself style restaurant FabCafe in Shibuya is holding a special event that will allow you to scan your face and print out a mold. 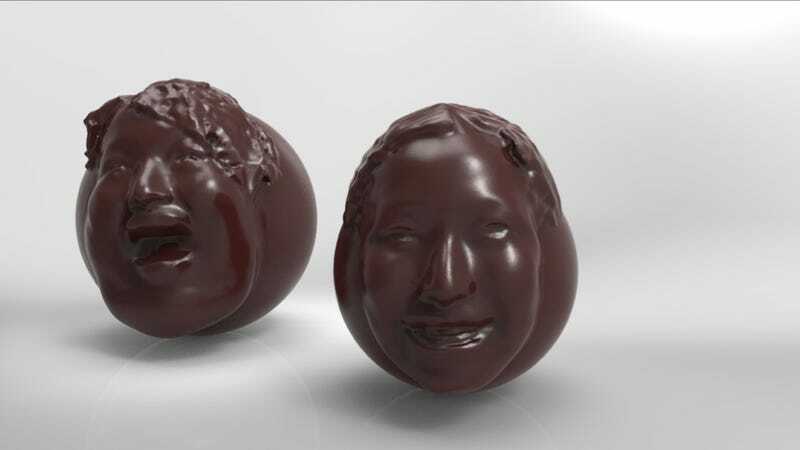 Then, a silicon version of the mold will be made, and chocolate will be poured into the mold, creating a chocolate truffle. Of your face. To eat. In Japan on Valentine's Day, women traditionally give chocolate, so this is limited to female participants only and costs ¥6,000 ($68) to partake. Not that high a price for the opportunity to turn your face into something that looks like it came from Silent Hill. According to IT Media, interested guys will be able to participate in March on White Day, when men traditionally give chocolate. Think of that as retaliation.